I am lucky to have another guest blogger with me on this trip. My co-instructor for this course is going to offer some perspective on reef fishes in Bocas (from large snappers to tiny gobies!). 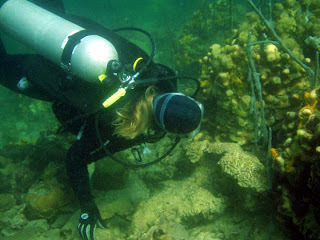 Dr. Clare Wormald is currently a research scientist at the California State University, Northridge, but has previously experienced New England winters during her PhD work in Rhode Island (URI). Indeed, she spent most of her PhD either in Rhode Island or the Bahamas, which is to say that she was in Rhode Island infrequently. 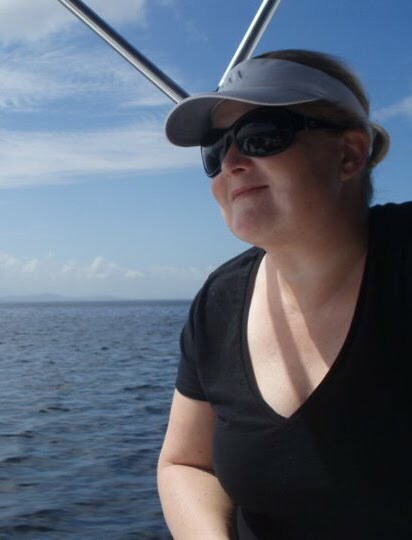 :-) Clearly an expert in Caribbean fishes, it's been an honor to teach with her, and I'm excited that she's written a post for the Aquarium's Global Explorers Blog. For many years I have had the privilege of working in some amazing, remote and unique coral reef environments all over the Caribbean and Indo-Pacific. Today I find myself standing on a thread of land, in the country of Panama, that divides these two bodies of water that have so fascinated me. Humans are drawn to make their homes on borders, to the edges of continents, to the banks of rivers, to the foothills of mountains, the edge of a forest. In my hometown, now in California, people from every walk-of-life pause at the end of the day, at the very transition of the land and the ocean to watch as the sun sets; the transition of day into night. 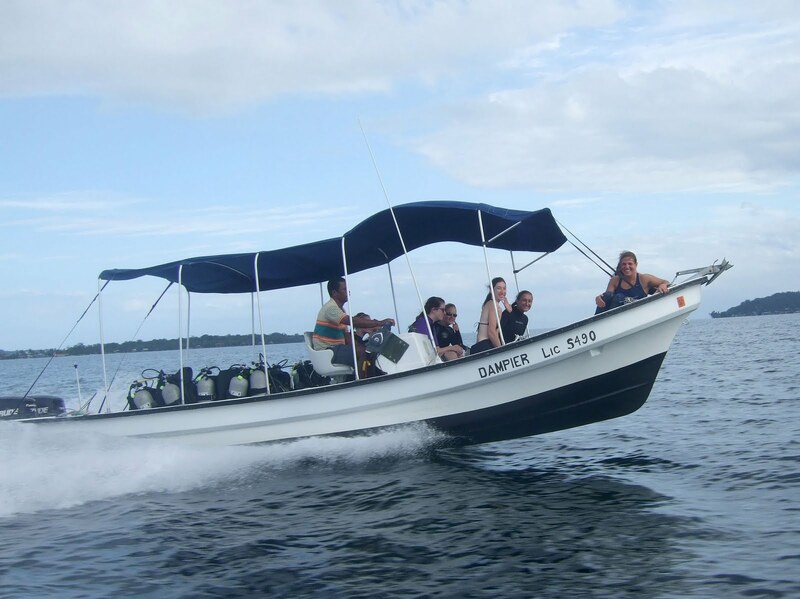 This is my 7th year teaching in Northeastern University’s Three Seas program – The Biology and Ecology of Fishes class, and this year has been a transitional one with a move from our recent home in French Polynesia to a new one in Panama. Along with the students, the faculty are learning and adapting to this new site. One new class project that we have designed this year takes advantage of the proximity of abundant mangroves to coral reefs near the STRI Bocas del Toro research station. 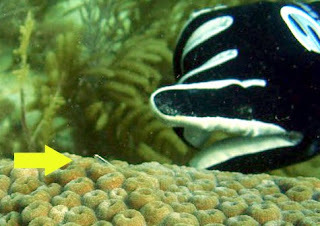 Significant ecological interactions and impacts happen at the margins of ecosystems, and additionally, many coral reef fishes use the mangrove ecosystem as a nursery ground. 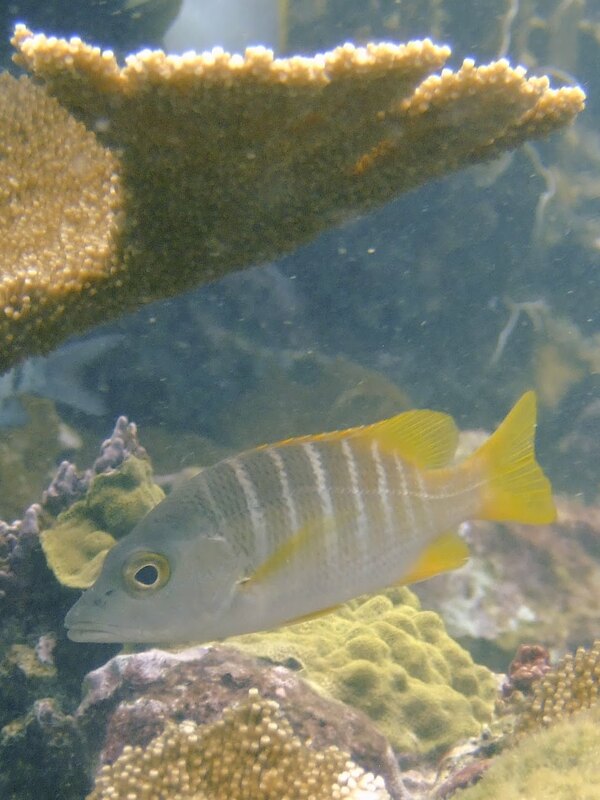 My prior research involved examining the ontogenetic shift of snappers (family Lutjanidae) from nursery grounds to coral reefs, so I was interested to see how habitat structure affected the fish community here. Elsewhere, I have found a strong relationship between the density of large coral structures and the density of commercially-important fishes like snappers and grunts. Our class study found that the density of adult fishes increases with depth, from the mangrove shallows to the deeper reef, and is also related to the amount of large coral structures on the reef, and percent live coral cover. It is vital that we recognize the importance of the interaction of mangroves and coral reefs to the fish community here, in order to prevent decline of fish populations which might occur through overfishing and shoreline development. The Smithsonian Institute’s research station has been a fantastic place to work and I have enjoyed teaching and learning in this new environment with Dr. Randi Rotjan and Heidi Block, our teaching assistant and a graduate student at California State University, Northridge. We’re already thinking about projects for next year!